West Indian legend Andy Roberts has hailed Indian pacer Umesh Yadav as India’s first genuine fast bowler. Speaking to Press Trust of India, Roberts said that India has never had a genuine fast bowler before. He also wants him to be more aggressive in the future. "I am very impressed with Yadav," Roberts said. 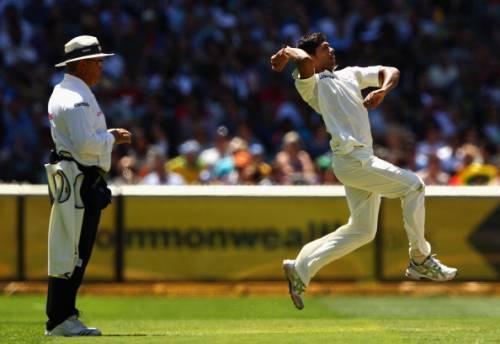 "He is the first genuine fast bowler that India has got. I don't think before him India had a genuine fast bowler. Another boy Shami is also good. But I want both of them to be a bit more aggressive. And when I mean aggressive, I don't mean one needs to swear." Even though Javagal Srinath was quick during his early days, Roberts doesn't believe that his speed was up there with the best in the world at that time. "Let me just tell you that there is a lot of difference between a fast bowler and quick bowler. Kapil Dev was a swing bowler, but he was not a quick bowler. India's first ever quick bowler that I saw was Javagal Srinath but again he was not in that league of fast men like Yadav, who can hit mid-90's." Roberts also wants the bowlers to use the quicker delivery as a variation instead of the slower delivery. "Variety is not about slowing up but also quickening up," he said. "I always see that for bowlers, the change-ups mean that delivering a slower ball. Why can't change of pace be if someone who is bowling around 88-90 mph increases it up to 95 mph. It's a sudden increase of pace and that's also a variation." Australia vs India 2018-19: What risk looms around India without a genuine spinner?